In Another Life by C.C. 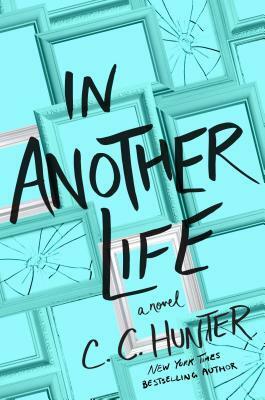 Hunter tells the tale of Chloe Holden, a teenage girl whose life becomes complicated when her parents divorce and she is forced to move to Joyful, Texas. If being the new kid in school isn’t stressful enough and as she gets to know the loner kid in her new school, she realizes that her new home holds more secrets than she originally thought. Cash Colton knows how to keep to himself. He’s been passed around from foster home to foster home and, instead of expecting to eventually be adopted, he is focused on earning his keep until he can make it on his own. However, things change after he meets Chloe. Despite his obvious attraction to her, he immediately realizes that she looks very familiar. He’s determined to find out why she’s the spitting image of the daughter his current foster parents, the Fullers, lost years ago. As the story unravels, Chloe is constantly accosted by negative images of déjà vu from her childhood. She’s also emotionally conflicted about being the Fullers’ missing daughter. Will being their missing child mean that she will be taken from her adopted parents? How different would her life be if she hadn’t been taken from them? To add to these distressing thoughts, she has to deal with the consequences of her parents’ divorce; her mother’s harsh words against Chloe’s father and his new young girlfriend, her father’s attempts to regain his youth to appease his new girlfriend and blatantly ignoring Chloe’s feelings about the divorce. There are a lot of issues stuffed into this short novel, and I admired the way in which the author managed to address each one without making it too cheesy. The story is told from Cash and Chloe’s perspectives, but a few surprising perspectives take center stage as the story comes to an end. Did I enjoy reading about the characters? Not more than any other contemporary Young Adult novel. However, I liked the fact that the author perfectly captured the voice of young adults and the well-developed plot even though the mystery was a little predictable. All in all, In Another Life by C.C. Hunter does an amazing job at telling a story about unconditional love and going to great lengths to discover the truth. It’s a great novel to add to your summer reading list. Next ArticleAlbum Review: Karen O and Danger Mouse - "Lux Prima"